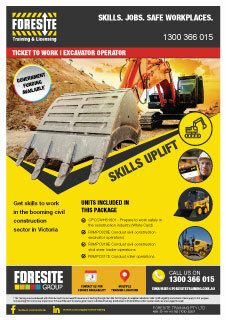 Foresite Training is the leading industrial skills training organisation. 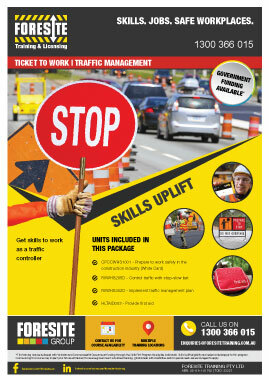 We provide employment pathways for warehouse training, civil construction and driving operations. Give us a call on 1300 366 015 or get in-touch for more information today! Foresite offers a range of programs including full qualifications and short courses to get you started or to enable you to take your next step. We are the leading forklift provider in the industry. Whether it’s a Counterbalance, a Reach Truck or you want an Order Picker licence, we are used to turning novices into skilled operators. Foresite offers training and licensing programs from Light Rigid to B-Double. 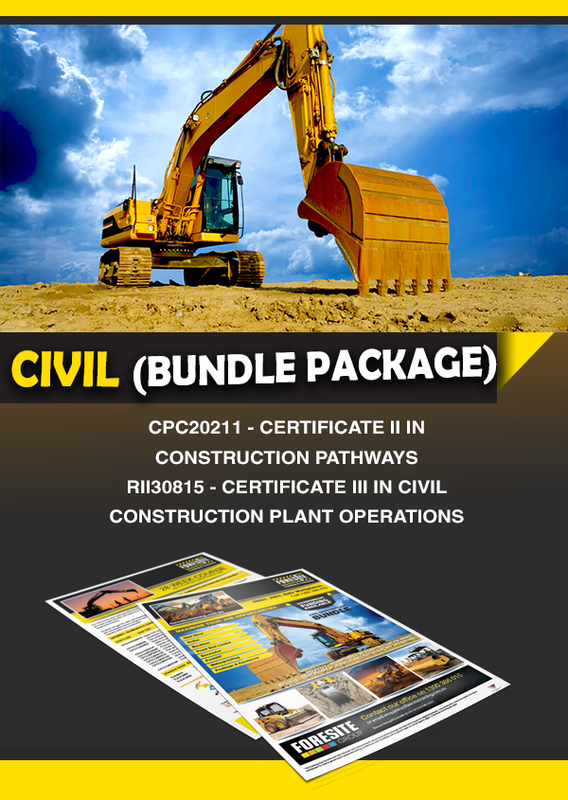 In addition we offer Certificate programs in Driving Operations, which provide much more than just a licence. Why choose Foresite to help with your employment pathways? 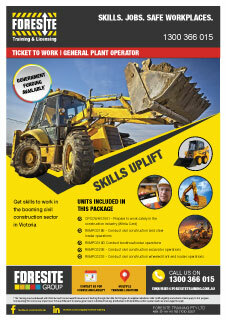 We are a Nationally Registered Training Organisation, a registered assessor for WorkSafe and accredited by VicRoads for heavy vehicle training and licensing. All of our trainers have years of real-life experience in the civil construction and warehousing industries to get you trained to get the job done. The construction industry offers many exciting and rewarding career options. There are jobs in construction that you may never even have thought about. Foresite can offer programs to get you started on the residential, commercial and large civil construction projects. By 2017 the logistics and warehousing sectors will employ about 390,000 people. With the explosion of goods being imported and exported with Asia, the sector is crucial to Australia’s economic prosperity. 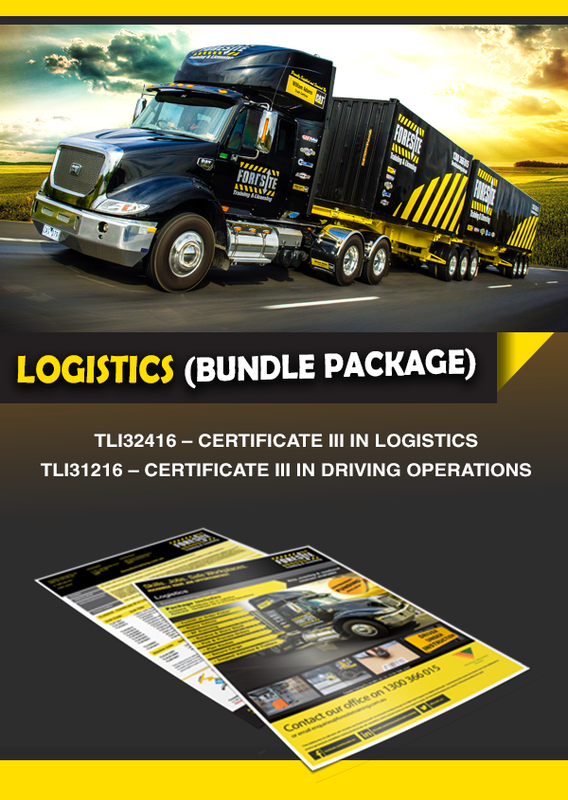 Road transport is the predominant means of moving freight around Australia. It is the link that takes freight to ports and terminals and distributes goods between warehouses and retail outlets. Road transport also includes businesses that provide passenger transport such as buses, coaches and taxis, which deal with the challenges of operating in congested city centres. All our locations are open from 8:00am to 5:00pm Monday to Friday with training available on Saturday as well. Share this information with your friends, Choose Your Platform!